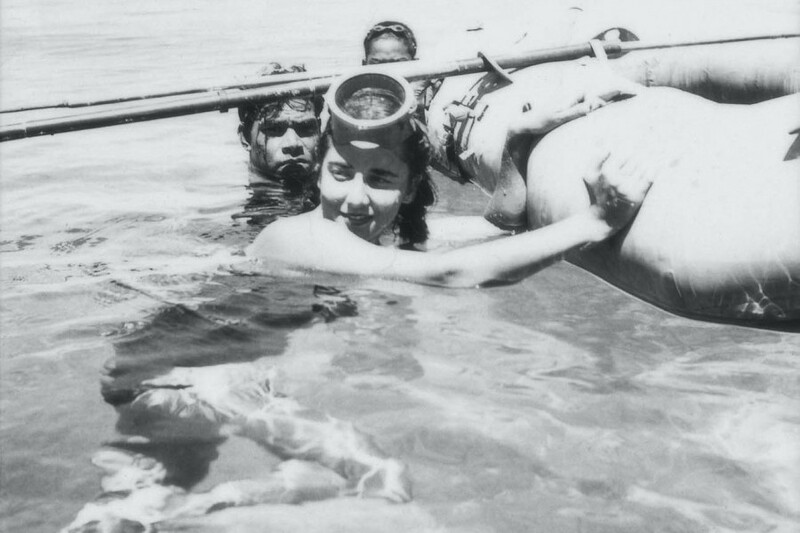 Blazing trails for women in science; inspiring generations of people from ocean experts to school children; swimming with sharks to learn about them; and founding a world-class marine laboratory that turned 60 in 2015 — this is a snapshot of the life and legacy of Dr. Eugenie Clark. 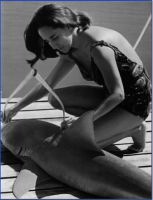 “Genie” Clark — the famous “Shark Lady” who founded Mote Marine Laboratory in Southwest Florida — died at age 92 on Feb. 25, in the company of family at her home in Sarasota, due to complications from battling lung cancer for years. She undertook her last ocean dive in 2014, and her latest research was in review for publication when she passed away. 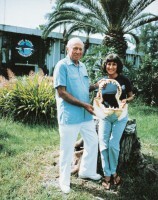 Clark, an ichthyologist, was a world authority on fishes — particularly sharks and tropical sand fishes. A courageous diver and explorer, Clark conducted 71 submersible dives as deep as 12,000 feet and led over 200 field research expeditions to the Red Sea, Gulf of Aqaba, Caribbean, Mexico, Japan, Palau, Papua New Guinea, the Solomon Islands, Thailand, Indonesia and Borneo to study sand fishes, whale sharks, deep sea sharks and spotted oceanic triggerfish. She wrote three popular books and more than 175 articles, including research publications in leading peer-reviewed journals such as Science and a dozen popular stories in National Geographic magazine. In 1955, Clark and her fisherman assistant started the one-room Cape Haze Marine Laboratory in Placida, Fla., with philanthropic support and hearty encouragement from the Vanderbilt family. The Lab thrived in partnership with its community and became Mote Marine Laboratory in 1967 to honor major benefactor William R. Mote. Today the Lab is based on City Island, Sarasota, and it hosts 24 diverse marine research and conservation programs, education programs for all ages and a major public Aquarium. The Lab has six campuses in Florida and more than 200 staff, including scientists who have worked in oceans surrounding all seven continents. Clark spent her final days among family, friends and colleagues from the Lab. Her scientific discoveries and her amazing story will continue to inform and inspire people around the globe. “Genie was an amazing woman – her initiative, intelligence and enthusiasm have always been the heart of Mote,” said Dr. Kumar Mahadevan, the longest serving president in Mote’s history. “As a graduate student in India in 1970, I knew about the reputation of Mote Marine Laboratory as the ‘leading institution in ichthyology and shark research’ from the great scientific publications by Genie and other scientists at the Lab. When I moved to nearby Anna Maria Island in 1975, I aspired to, and was fortunate enough to become, part of the Mote family. To me, Genie has been a great mentor, friend and a true inspiration.” Mahadevan served as Senior Scientist starting in 1978 and became the Lab’s CEO from 1986 to 2013. Clark is also widely known for studying sand fishes, particularly in the Red Sea. For example, she found that a Red Sea fish called the Moses sole secretes a natural shark repellent substance. 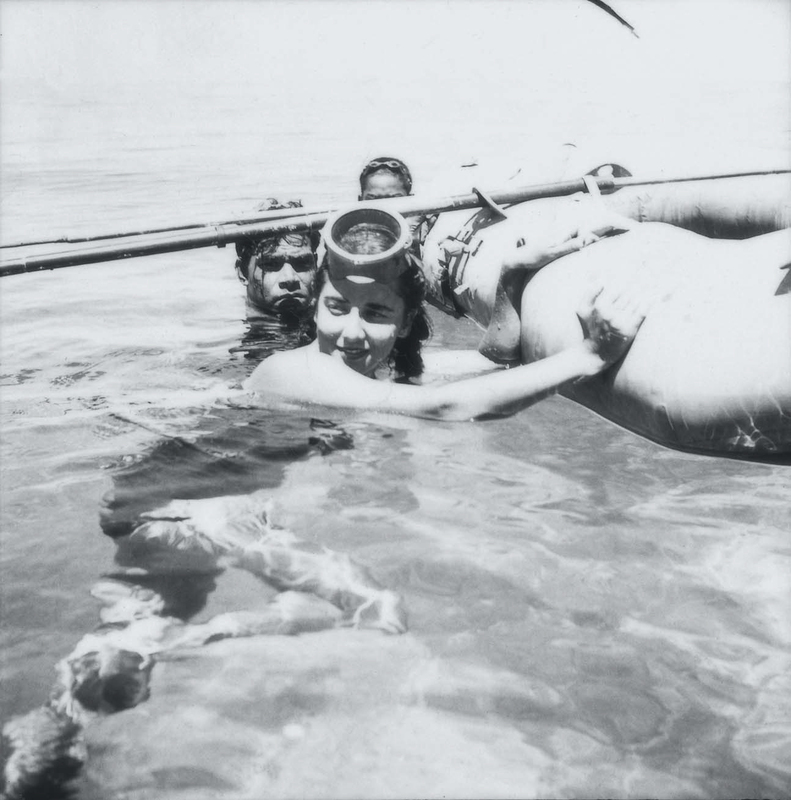 Over dozens of expeditions in the Red Sea and Gulf of Aqaba, Clark became a champion of conservation there. She advocated to preserve the Ras Mohammad area of the Red Sea, a place of stunning coral reefs. Her voice provided crucial support and the area became Egypt’s first national park in 1983. Today, the Red Sea and Gulf of Aqaba remain critical areas of focus for Mote. 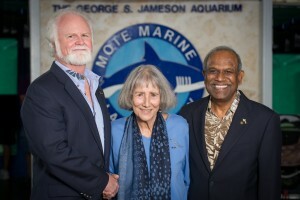 Clark is the recipient of three honorary degrees and numerous awards including The Explorers Club Medal; the Medal of Excellence from the American Society of Oceanographers; The NOGI award in Arts from Underwater Society of America; the Dugan Award in Aquatic Sciences from the American Littoral Society; a Gold Medal from the Society of Women Geographers; the Distinguished Fellow Award from the American Elasmobranch Society; and the Franklin L. Burr Award from the National Geographic Society. Several fish species have been named in her honor:Callogobius clarki (Goren), Sticharium clarkae(George and Springer), Enneapterygius clarkae(Holleman), and Atrobucca geniae (Ben-Tuvia and Trewavas). She has written three popular books: Lady with a Spear (1951), describing her adventures in Micronesia and the Red Sea; The Lady and the Sharks (1969), which chronicles starting the Cape Haze Marine Laboratory; and The Desert Beneath the Sea (1991), a children's book written with Ann McGovern describing a scientist researching the sandy bottom of the sea. Clark is survived by her four children: Hera, Aya, Tak and Niki Konstantinou. Mote Marine Laboratory is planning with Clark’s family to hold a public celebration of her life in the coming weeks. Details will be announced.